As the influences of the world increasingly embrace the evil, we must strive with all diligence to stay firmly on the path that leads us safely to our Savior. I once saw a sign in a store window that said, “Happiness, $15.00.” I was so curious to know how much happiness I could buy for $15 that I went inside to see. What I found was a lot of cheap trinkets and souvenirs—not one thing I saw could possibly bring me the type of happiness that the sign implied! Over the years, I’ve thought many times about that sign and how easy it can be to look for happiness in items that are cheap or temporary. As members of The Church of Jesus Christ of Latter-day Saints, we are blessed to know how and where true happiness is found. It is found in carefully living the gospel established by our Lord and Savior, Jesus Christ, and in striving to become more like Him. We have a dear friend who was a train engineer. One day while he was driving a train on his route, he spotted a car stopped on the track ahead of him. He quickly realized that the car was stuck and unable to cross the track. He immediately put the train in emergency mode, which engaged the brakes on each boxcar that extended three-quarters of a mile (1.2 km) behind the engine, carrying a load of 6,500 tons (5,900 metric tons). There was no physical chance that the train would be able to stop before it hit the car, which it did. Fortunately for the people in the car, they heard the warning of the train whistle and escaped from the car before the impact. As the engineer spoke with the investigating police officer, an angry woman approached them. She shouted that she had seen the whole incident and then testified that the engineer did not even try to swerve out of the way to miss the car! Obviously, if the engineer had been able to swerve and leave the tracks to avoid an accident, he and his entire train would have been lost in a derailment and the train’s forward progress would have come to an abrupt stop. Fortunately for him, the rails of the tracks on which his train ran kept the wheels of the train snugly moving toward its destination regardless of the obstacle in his way. 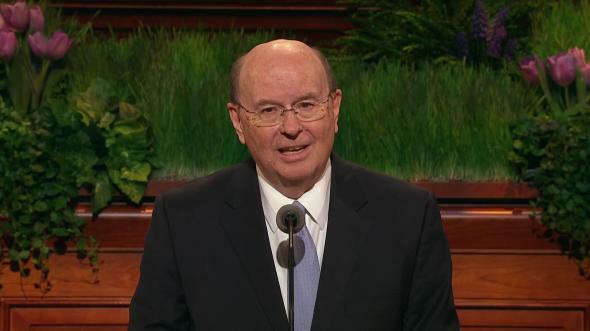 Fortunately for us, we too are on a track, a covenant path we committed to when we were baptized as members of The Church of Jesus Christ of Latter-day Saints. Although we may encounter occasional obstacles along the way, this path will keep us moving toward our prized eternal destination if we stay firmly on it. 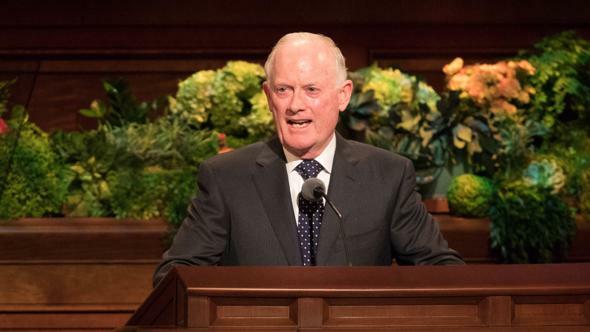 There is a careful way and a casual way to do everything, including living the gospel. 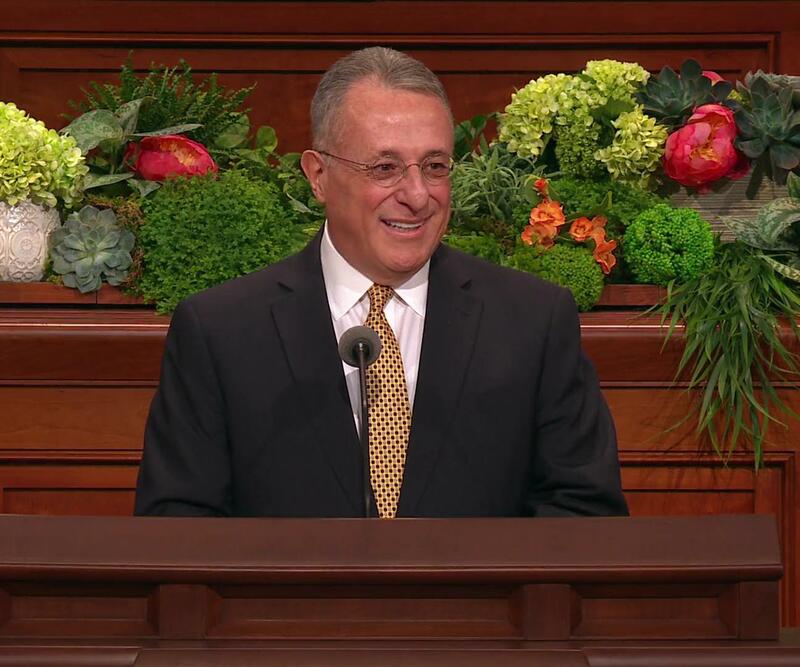 As we consider our commitment to the Savior, are we careful or casual? Because of our mortal nature, don’t we sometimes rationalize our behavior, at times referring to our actions as being in the gray, or mixing good with something that’s not so good? 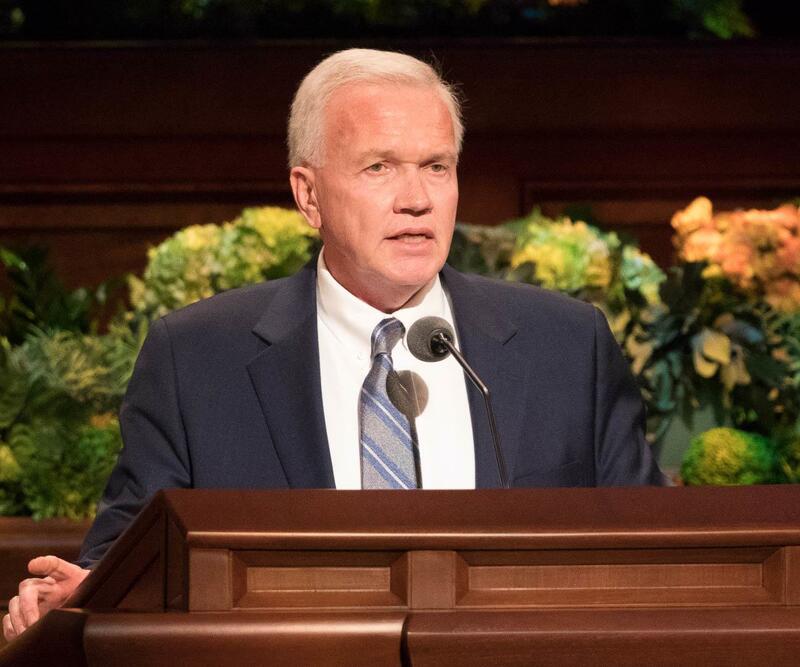 Anytime we say, “however,” “except,” or “but” when it applies to following the counsel of our prophet leaders or living the gospel carefully, we are in fact saying, “That counsel does not apply to me.” We can rationalize all we want, but the fact is, there is not a right way to do the wrong thing! The youth theme for 2019 is taken from John 14:15, where the Lord instructs, “If ye love me, keep my commandments.” If we love Him as we claim, can’t we show that love by being a little more careful in living His commandments? Are we careful in our Sabbath-day worship and in our preparation to partake of the sacrament each week? Could we be more careful in our prayers and scripture study or be more actively engaged in Come, Follow Me—For Individuals and Families ? Are we careful in our temple worship, and do we carefully and deliberately live the covenants we made both at baptism and in the temple? Are we careful in our appearance and modest in our dress, especially in sacred places and circumstances? Are we careful in how we wear the sacred temple garments? Or do the fashions of the world dictate a more casual attitude? Are we careful in how we minister to others and in how we fulfill our callings in the Church, or are we indifferent or casual in our call to serve? Are we careful or casual in what we read and what we watch on TV and our mobile devices? Are we careful in our language? Or do we casually embrace the crude and vulgar? The For the Strength of Youth pamphlet contains standards that, when followed carefully, will bring rich blessings and help us stay on the covenant path. Although it was written for the benefit of the youth, its standards do not expire when we leave the Young Men and Young Women programs. They apply to each of us all the time. A review of these standards may prompt other ways we can be more careful in our gospel living. We do not lower our standards to fit in or to make someone else feel comfortable. We are disciples of Jesus Christ, and as such we are about elevating others, lifting them to a higher, holier place where they too can reap greater blessings. I invite each of us to seek the guidance of the Holy Ghost to know what adjustments we need to make in our lives to be more carefully aligned with our covenants. I also plead with you not to be critical of others making this same journey. “Judgment is mine, saith the Lord.”2 We are each in the process of growth and change. 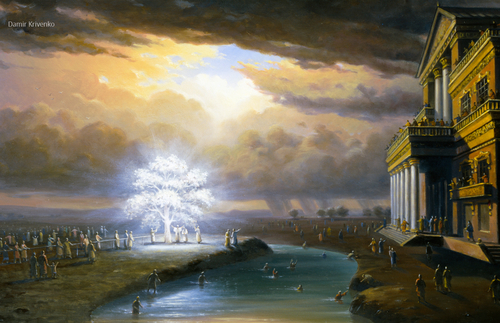 The story told in the Book of Mormon about the apostate Amlicites is interesting to me. As a way of noting to others that they were no longer associated with Jesus Christ and His Church, they put a distinct mark of red on their foreheads for all to see.3 In an opposite way, and as disciples of Jesus Christ, how do we mark ourselves? Can others easily see His image in our countenance and know who we represent by the way we carefully conduct our lives? As a covenant people, we are not meant to blend in with the rest of the world. We have been called “a peculiar people”4—what a compliment! As the influences of the world increasingly embrace the evil, we must strive with all diligence to stay firmly on the path that leads us safely to our Savior, widening the distance between our covenant living and worldly influences. As I reflect upon obtaining lasting happiness, I realize that sometimes we do find ourselves in the gray. Mists of darkness are inevitable as we journey along the covenant path. Temptation and casualness can cause us to subtly divert our course into the darkness of the world and away from the covenant path. 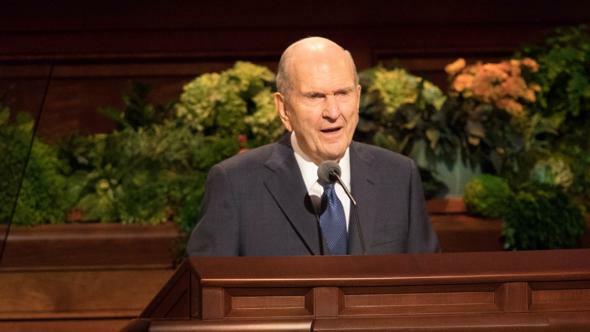 For the times when this might happen, our beloved prophet, President Russell M. Nelson, has urged us to get back on the covenant path and to do so quickly. 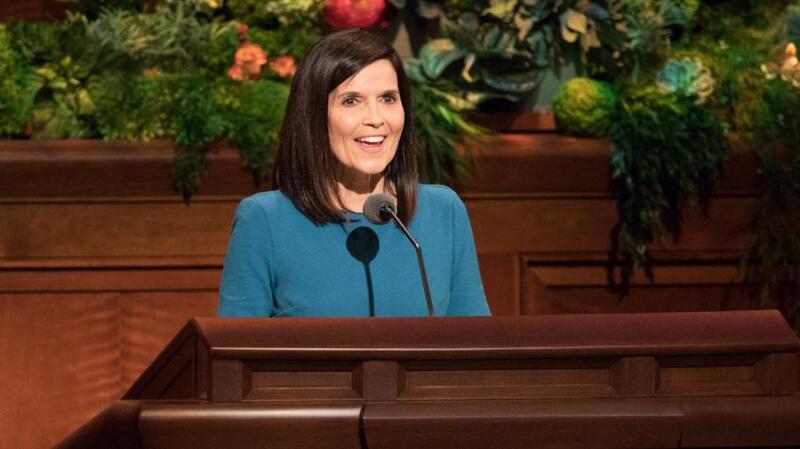 How grateful I am for the gift of repentance and for the power of our Savior’s Atonement. It’s impossible to live a perfect life. Only one man was able to live perfectly while dwelling on this telestial planet. That was Jesus Christ. 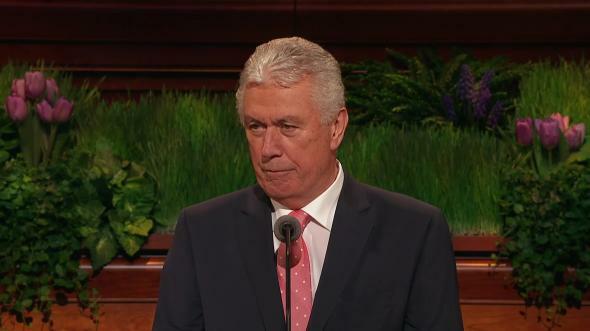 Although we may not be perfect, brothers and sisters, we can be worthy: worthy to partake of the sacrament, worthy of temple blessings, and worthy to receive personal revelation. Can happiness be bought with $15? No, it can’t. Deep and lasting happiness comes by intentionally and carefully living the gospel of Jesus Christ. In the name of Jesus Christ, amen. See 1 Nephi 8; 15.